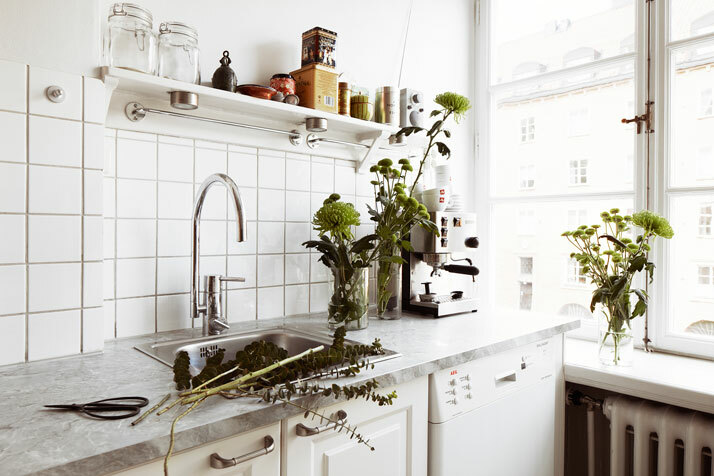 I really like these Swedish websites that feature real estate in a new way. The homes are styled to the max and look so appealing and fresh. You feel like you could just move in and everything is ready to go. The two real estate sites I really love are Fantastic Frank and Stadshem. This great apartment is from Fantastic Frank and is pretty typical of what you would see on the site. 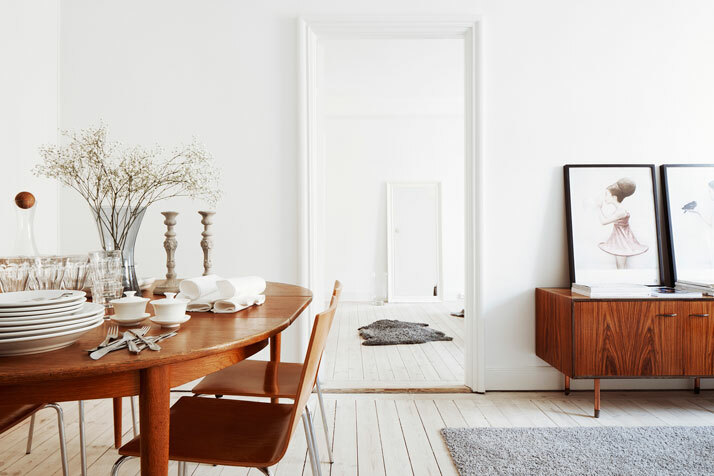 Lots of white decor with some wonderful, mid-century or industrial and often vintage touches. Very often the kitchens have wonderful finishes and they always feel super modern and hip. Remember they are for sale so...any takers?